Hi! I'm Olly and I'm here to ask for your assistance to help me fund an amazing, once in a lifetime opportunity I've been given to join the ground-breaking MA in Games Design and Development at the National Film and Television School (NFTS). Not only will this allow me to fulfil a childhood dream of becoming a computer games designer, it would also provide me with all the skills and professional connections necessary to help me develop, lead and promote my own cutting edge projects in a wide range of digital media. This is especially important to me because I have a firm belief in the value of this technology as a means for engaging the public in a way that can both entertain, stimulate debate and promote participation in a wide range of social contexts. Recently my work has been featured on the Guardian website after I ran workshops in East London introducing young people in East London to urban design in a participatory way through the construction of computer game environments which we were then able to explore in virtual reality using the new Oculus Rift headset. 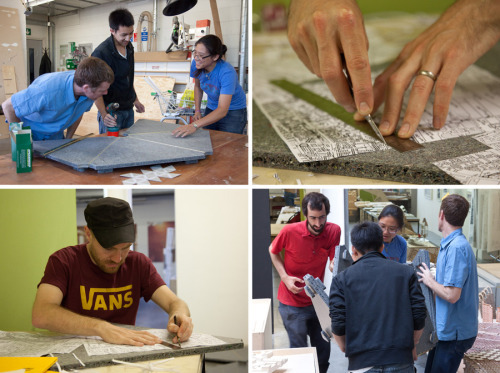 The project was particularly fulfilling because it enabled me to share the skills I had gained in creating it. This has really inspired me to pursue this new course in games design. Not only will it further improve the quality of my work but it will also help me create richer, more meaningful experiences with the potential to reach far wider audiences, whether through interactive artworks, museum exhibits, or fully fledged mobile and computer games. After finding out about the course by chance in late October I quickly realised what an outstanding opportunity it provided and applied. The course costs £11,800 per year for two years. Unfortunately the lateness of my application means that I have not had sufficient time to secure sufficient funding from grants and bursaries to cover my first year fees. In order to contribute to my fees I have applied for the maximum Personal Career Development Loan available from the bank of £10,000 (£5,000 per year). Despite taking out this loan I will still have a shortfall in excess of £4,500 for my first year fees and living costs. Raising this initial minimum by January through crowdfunding would enable me to commence my studies. Should I be fortunate enough to raise an additional £7,000 that would enable me to focus on my studies more fully without having to seek further funding for my second year. I have always taken personal responsibility for funding my studies in the past so I am fully aware what a large amount of money this is. At the same time this opportunity is too great, both personally and professionally, not to do everything I possibly can to take advantage of it. I hope the rewards I've proposed look good and help encourage you to join in and support me on this adventure. Any help you are able to provide in achieving this will be gratefully received and much appreciated. I have a wide range of interests in philosophy, psychology, sociology, computer gaming, photography, architecture and the built environment. I pursue these avidly through self-funded study and a range of personal projects, some of which are outlined below. Most recently I have been engaged in part-time study learning about the science of cities on the MRes in Advanced Spatial Analysis and Visualisation at the Bartlett Centre for Advanced Spatial Analysis (CASA). Further details can be found on my blog Virtual Architectures. My latest project was an urban rollercoaster ride built using a new virtual reality headset called the Oculus Rift. The ride wasn’t just for fun. The Bartlett Centre for Advanced Spatial Analysis (CASA) at UCL in London, where Dawkins studies, had set out to show how a virtual rollercoaster could demonstrate to the Grand Designs Live exhibition’s 100,000 visitors a more tangible example of how VR can be linked to city design. The key to this, they think, is the latest generation of virtual-reality headsets, including the Oculus Rift, which tracks head movement to show a 360-degree view. Its gaming potential has been much discussed, but CASA believes it also has the potential to do no less than democratise urban design. Read the Guardian article: Try this 3D rollercoaster for the Oculus Rift headset. Could it help plan cities? In July 2014 UCL’s Public Engagement team invited me to participate in a series of Code Club workshops offered to teenagers at Stratford Library in London. I contributed a practical workshop of 2 hours demonstrating the step by step creation of a real-time virtual reality experience using free software such as SketchUp to make 3D models and the Unity game engine to build the scene. Participants each received a full colour hand-outs and copies of all the 3D assets which I'd personally prepared for the workshop. The results of the session were then demonstrated in the Oculus Rift virtual reality headset alongside the CASA Oculus Rift Urban Roller Coaster and the interactive City Run racing demo I'd put together previously (below). The response to the workshop was great and I gained a lot of personal satisfaction both from preparing it and seeing participants' reactions. It was possibly this single experience more than anything else that inspired my belief in the participatory potential for virtual reality and gaming technology. 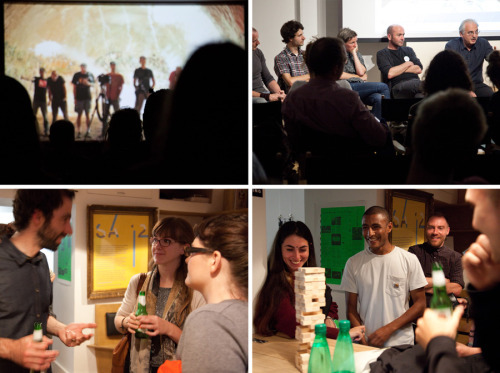 If I make it to the NFTS I look forward to sharing my new skills through similar workshops in the future. 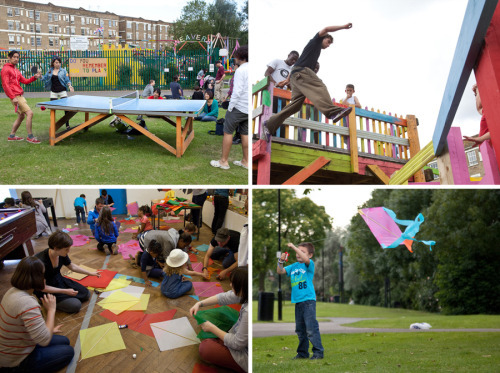 In 2012 I joined with a number of friends to form the Article 31.1 collective in order to offer a programme of events in East London related to the theme of play for the London Festival of Architecture that year. Events had a focus on activism and included a gallery exhibit of games, photographs and crafts at Workshop 44 on the Regent's Estate, an open day at Weavers Fields Adventure Playground in Bethnal Green, participatory street games at the Arnold Circus bandstand and Vyner Street First Thursday, and our Free To Play film screening and discussion focused on themes of play and risk and hosted by Huck Magazine. 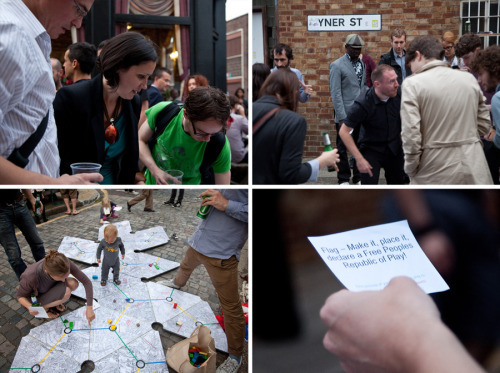 The centrepiece for these events was a giant board game built by the collective which toured East London with us for the duration of the festival. Images courtesy of Jon Spencer. More details about the project can be found here: Article 31.1. An ongoing personal project using virtual reality to help explore the meaning of surveillance through a recreation of 18th century philosopher Jeremy Bentham’s unbuilt design for the perfect prison; the Panopticon. With its circular plan of un-obscured cells arranged around the outer edge the prison afforded the inspector lodged at its centre a panoramic view of the prisoners and their every activity. Combined with a design solution that prevented their seeing the inspector the prisoners’ uncertainty about the fact of surveillance was expected to pacify them by conditioning them to psychologically internalise the function of surveillance, essentially with each inmate becoming their own prison inspector. 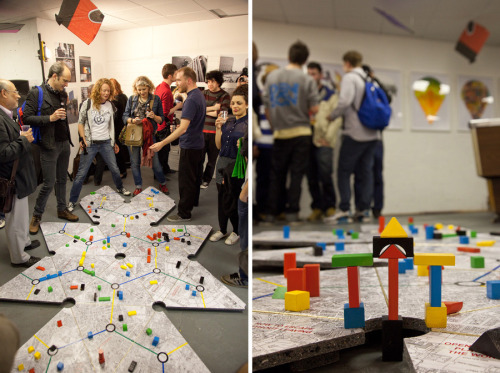 In June 2010 the gallery at Alan Baxter hosted an exhibition which I co-organised as part of the London Festival of Architecture 2010. With my friend and collaborator Mark Oliver (aka Dancing Eye) I exhibited a photographic artwork called In The Shadows of the Crystal Palace exploring the politics of urban space through related themes of transparency and surveillance. These are just some of the projects I've been involved in. I hope you find them interesting and would like to support my work further. If you know anyone else who might be interested please don't hesitate to share this with them. Thank you for checking out my page and considering my campaign. Any and all help you are able to provide is appreciated. Select this reward and you will be invited to a new and exclusive private blog where I'll be providing regular updates about my progress on the course and life at the NFTS. The blog will only be available to donors. Select this reward for access to my private blog as above. Additionally your name will be listed on my blog's page of acknowledgements and you'll receive a shout out on Twitter. Select this reward to receive all of the above plus a unique postcard with a handwritten message of thanks to celebrate completion of my first term. Select this reward to receive all of the above plus an exclusive poster of the game I'm creating. Select this reward to receive all of the above. Additionally I will write a short feature about you, your company or a project of yours on my blog. Select this reward to receive all of the above plus a limited edition, signed print of concept artwork to celebrate the completion of my first year on the course. Select this reward to receive all of the above. 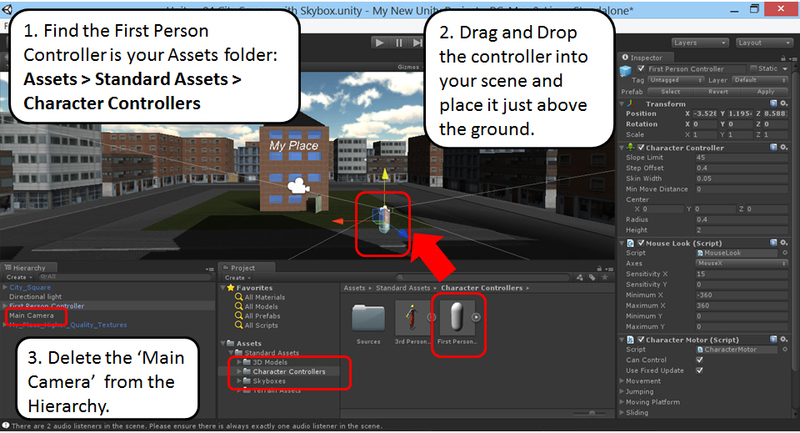 Additionally I will provide a 3 hour introduction to the creation of 3D game environments using Trimble SketchUp and the Unity game engine. You'll also receive a demonstration of the Oculus Rift virtual reality headset. The session can be for up to four people. If you would like me to travel outside of the London area your contribution toward travel costs would be appreciated. FOR COMPANY SPONSORS - Select this reward for the opportunity of first refusal on offering me paid work at your company during the summer recess in 2015. Please contact me to discuss details. FOR COMPANY SPONSORS - Select this reward for the opportunity of first refusal on offering me paid work for your company following completion of my course in Jan 2017. Please contact me to discuss details.